Replace the glass or polycarbonate roof of your existing conservatory with a SupaLite warm roof and prepare to fall in love with your conservatory all over again. 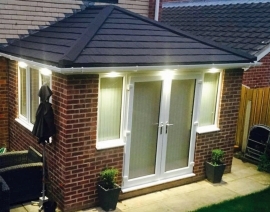 With a SupaLite warm roof, you'll be making extreme temperature differences in your conservatory a thing of the past and create a delightful room which you can enjoy all year round. SupaLite warm roof systems are a fully tried and tested conservatory replacement roofing solution, well-insulated, very well ventilated and with those extra design details which will serve to make your SupaLite warm roof conservatory look more like a traditional extension than other warm roof systems on the market. The Falcon Windows team have extensive experience in installing conservatory warm roofs in Suffolk and Essex and can quickly assess whether the SupaLite warm roof system is appropriate for your current conservatory. 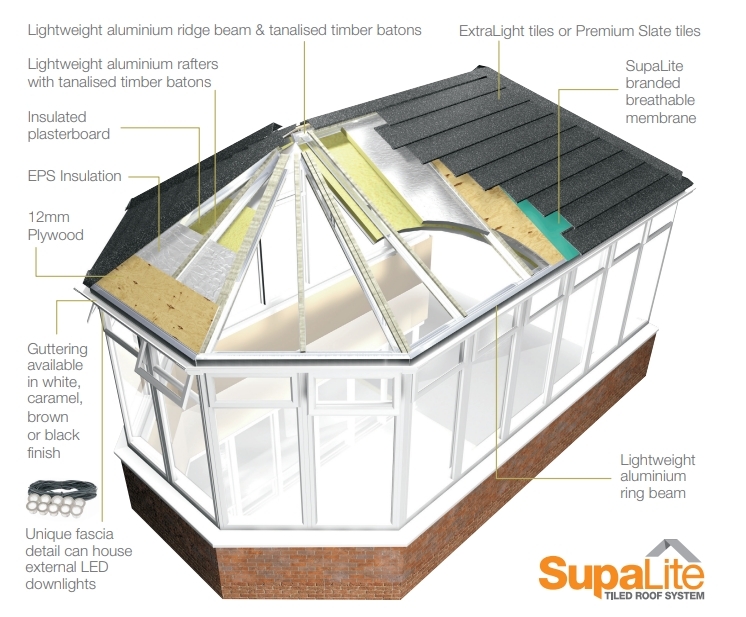 SupaLite warm roof technologies enable highly insulated and well ventilated, lightweight solid roofs with or without in-built windows or 'lights' to be retro-fitted to the majority of existing conservatories. They can also be included within new-build conservatories. 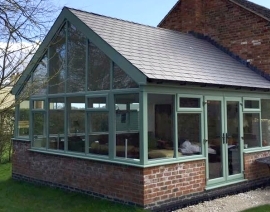 Building a conservatory with a SupaLite warm roof can be a highly cost-effective way to enjoy all the year-round use and space benefits of an extension, without the planning hassle - in most instances conservatories do not require planning permission or building regulations. The Falcon SupaLite Warm Roof has a superior lightweight aluminium frame with especially engineered SupaLite profile rafters, ridge and ring beams to ensure that the roof can be appropriately load-bearing (eg. in times of snowfall). This aluminum frame with tanalised timber batons formula also avoids shrinkage issues often associated with timber frames. 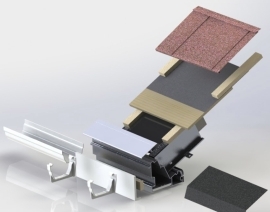 A sandwich of 12mm plywood, EPS insulation and insulated plasterboard is protected by an innovative SupaLite warm roof breathable membrane and covered with SupaLite's virtually no maintenance, high-tech ExtraLight tiles or Premium Slate tiles. Fully ventilated to prevent moisture ingress, SupaLite warm roofs from Falcon Windows Ipswich are quality engineered and approved to all thermal and structural standards, carrying full JHAI building regulations approval - delivering the benefits of an insulated room to your conservatory, within just a few days of installation time. From a choice of colours when it comes to guttering to unique fascia detail, warm roofs from SupaLite have an extra dimension and level of detail which not only makes them stand out from their competitors, but makes your warm roof conservatory appear even more like a traditionally built extension. As an added touch, the soffits can even house external LED downlights - both a functional and aesthetically pleasing feature especially if your conservatory opens up onto a patio. Tiles or slate? When it comes to the effect that you'd like your new warm roof to have, there are a range of roofing finishes available to tie in with your property. 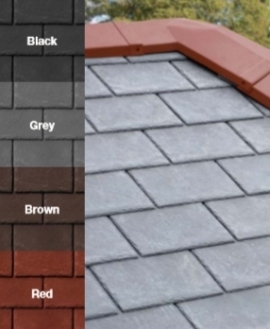 Both Falcon SupaLite warm roof 'Tapco slate' or SupaLite 'ExtraLight tile' systems are highly durable with a unique 50 year weatherproof guarantee, and are available in a range of colours. These composite tiles highlight the character of slate, with authentic surfaces and edges. Unlike natural slate, SupaLite Tapco slate tiles won't break or delaminate. To make them in keeping with period properties, but also sympathetic to modern styles as well, the composite tiles are created using moulds cast from real slate to capture genuine peaks, plateaux and curves. Colour-through design and UV stabilisation ensure "stay-true" richness for traditional colours. Interested in a SupaLite slate warm roof for your conservatory? ExtraLight tiles high performance textured-finish stone-coated steel tiles from SupaLite reproduce the form of traditional low-profile shingles. Exceptional durable, they have been designed not to delaminate, lift or break-down through UV rays and high winds. What's more ExtraLight tiles are the only tile tested down to a 10 degree pitch. There is a choice of natural weathered tones to reflect the style and colouring of clay tiled roofs. Inside your warm roof conservatory, why not make the most of options such as roof vents or windows, or a vaulted and plaster-finished ceiling fitted with recessed LED or GU spotlights? 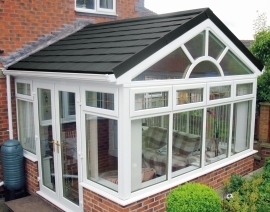 Interested in a SupaLite tiled roof for your conservatory? The SupaLite warm roof's incredible U-Value of 0.18W/m2K contributes to improved SAP calculations / energy and environmental performance. This means that your conservatory will retain the warmth in winter months, and keep it incredibly cool on hot days, even when in direct sunlight. If you opt for roof windows, these are also selected for the high level of energy efficiency, taking into account the stringent requirements of passive construction. How are SupaLite Warm Roofs constructed? 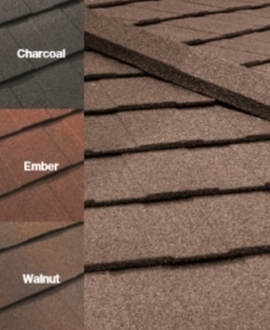 Why choose a SupaLite warm roof from Falcon? SupaLite offers a cosy, cost-effective, space-winning warm roof solution that's excellently engineered and can be installed at your property with the minimum of inconvenience. But a premium product is not the only consideration when it comes to an installation. Commissioning an experienced team to complete the build to exacting standards, to ensure that the warm roof has been designed to the exact requirements of your property and will be fitted to ensure its maximum performance, is a vital part of your investment. The team of SupaLite warm roof installers and fitters at Falcon Windows Ipswich have expert training and experience in fitting conservatory warm roofs across Suffolk. We pride ourselves on getting the job right, providing guarantees, insurance-backed warranties and a highly respected approach to aftercare.